School Attendance - Citywest Educate Together N. S.
If your child has missed some days from school, please fill out the form here and let us know the reason for their absence. The purpose of the Education (Welfare) Act 2000 is to encourage regular school attendance and participation in education and training for as long as possible. A good education gives your child the best possible start in life. It is desirable that every child stays in school and completes the Leaving Certificate. Schools are obliged by law to notify Tusla – Child and Family Agency if a child is absent for 20 days or more or where absences gives rise to concern. As a parent/guardian, you must let the school know if your child is absent and the reason why. It is school policy that reasons must be given in writing. Under the law, every child must attend school regularly up to sixteen years of age or complete at least three years education in a post primary school whichever comes later. If your child is sick or is absent for other good reasons, no action will be taken by Tusla - Child and Family Agency. However, if there is concern about your child’s attendance at school or about the reasons given, you may be visited by an Educational Welfare Officer who will discuss your child’s education with you. The Officer will work with you and take full account of the circumstances of the child and the family before deciding what further action is necessary to ensure that the child receives his/her entitlement to an education. Further information concerning the new service and about school attendance matters generally can be obtained from the national Lo-Call Education Helpline - 1890 36 36 66. Below is a copy of the parent leaflet published by the Educational Welfare Services. Further information on school attendance can also be found here. If you have any queries or wish to discuss your child's attendance, please don't hesitate to get in touch. Unfortunately, we fell below 90% attendance in December and March. However, we greatly improved in April and May, compared to the same months last year. Let's hope we can finish the year strongly with high levels of attendance in June! 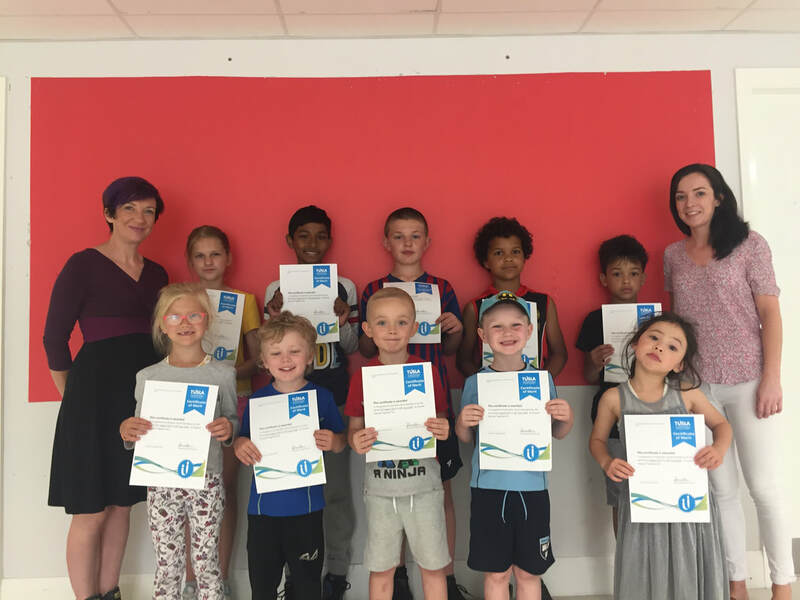 Take a look at the ten children who had unbroken school attendance for the whole 2017/18 year! They did not miss a single day of school, and we are very proud of their achievement!